In the last few weeks of August, it always seems that my piano teacherly duties keep me largely in front of a computer keyboard rather than the one with 88 keys, over there on the other side of the room…(Writing that sentence just prompted me to count the keys on my computer. There are 78. I think I just understood the amusement that my young students seem to derive from counting the keys on the piano! ) It is the season of getting organized: there are spreadsheets upon spreadsheets, browser tabs open to my Google Calendar, my Toodledo.com to-do list (a major saver of sanity!) and the Inbox which seems to fill with unread messages every time I look away. One other program constantly running on my computer these days is Spotify. Has anyone else jumped on this bandwagon yet? Spotify has been available in the US since July. Currently, it is not available in Canada. (Sorry, Canadian friends! Though I hear you have something similar? Rdio?) This article gives a good overview of all the specifics and details. 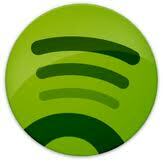 Basically, Spotify it is an online music-streaming program, with an Itunes-like interface. Unlike Pandora radio (which I also love), it allows you to search for a specific album (or song, or artist) and listen to all the tracks. The basic service is free! (though you will hear an ad a few times an hour). The fabulous thing is that many of the big classical labels are on board with Spotify: EMI, Naxos, Deutsche Grammophon! It is all right there! Instantly! I have a decent collection of classical CDs at home, and I certainly intend to keep adding to it. The permanence of having all those disks lined up nicely on the shelves is always going to be deeply compelling. Still, the ability to pull up a great recording of any piece anytime is incredibly exciting! I think the potential to use this in teaching is huge! I encourage my students to listen to classical music in general, and recordings of their pieces in particular. However, this often means sending them off to search on You-Tube. And while there are certainly great treasures to be found there…well, it isn’t Deutsche Grammophon! So, I will be actively encouraging students’ families to get Spotify accounts. Also, it is possible to create and share playlists. So, rather than just sending a student off to search around for a recording of his Chopin waltz, I could create a playlist for him with several renditions of the piece as well as perhaps other selections which could inform his understanding of the music. Plus, if I am teaching and my laptop is nearby, any piece of music is just a quick search away. Oh the marvels of the internet! Now, I do have to admit that hearing an ad between movements of say, the Dvořák cello concerto, can be rather jarring. Also, the free version does not support listening to music on a mobile device, or saving music for off-line listening. Depending on how much I find myself turning to Spotify in the coming months, I may consider going for one of the paid options. ($4.99 a month for no time limits and no ads, $9.99 a month for no ads and mobile device/off-line listening). Do you use Spotify? For fun? In your teaching? How do you encourage students to listen to music? This entry was posted in teaching aids and tagged internet, recordings, spotify. Bookmark the permalink.